Ok so I think a lot of you probably know by now that come a family of Dentists. I've learned a ton about the industry as well as how your oral care can affect your entire bodies health. In this type of economy, people sometimes tend to put off and frequently neglect this area of their health. I can tell you even though I've done this in the past, I refuse to now. When I was younger, I was terrible about brushing my teeth as I thought of it as a way to almost punish my mother (a dentist) when I was mad at her. Let me tell you how BAD of an idea that was now that I am adult with a mouth full of silver fillings and a major fear of going to the actual dentist (even though I am related to mine). I know how much of a pain it can be going through any type of major oral surgery first hand AND I've watched my son do so as well. I actually was blessed with perfect teeth as far as alignment and growth whereas I have never had braces or had to have any type of orthodontics adjustments. My problem has always been that I have extremely sensitive gums that bleed no matter what I really do with/to them. I hate, hate, HATE flossing because of this not to mention all the work I've had done which makes it more difficult. 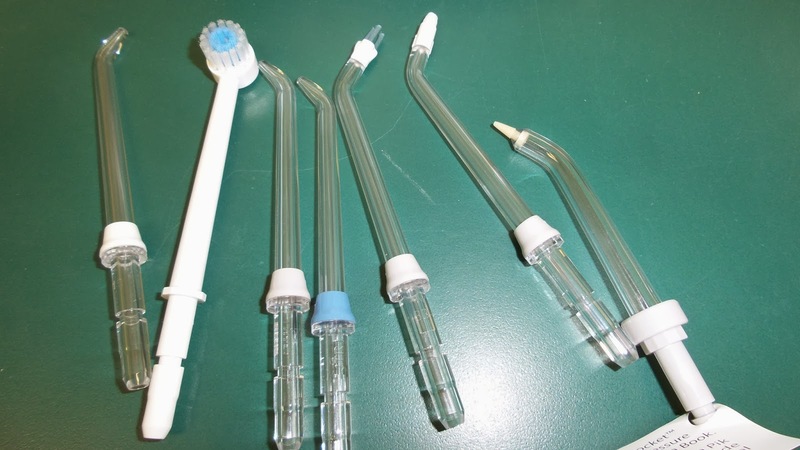 So I have to say even though I've heard about Waterpik Flossers in the past, I had never thought about using one until I was asked to give it a review. 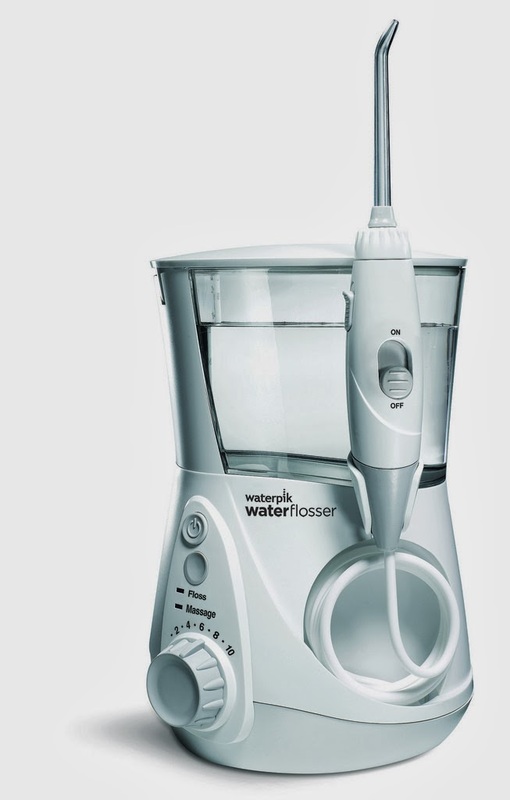 I was sent over the Waterpik® Aquarius™ Professional Water Flosser to review. "It is clinically proven up to 50% more effective for improving gum health vs. string floss and proven to remove up to 99.9% of plaque from treated areas in 3 seconds." Can you just say wow?! But I still have to say I wasn't convinced just yet. I did want to start using it at the dentist office so she could show me how to properly use it and so the kids could watch as well in hopes they might use this too. With how much of a pain the boys are about properly brushing, I've never attempted flossing on them. I figured this might be a great way to ensure we are still "flossing" without actually flossing. Plus I thought they might find this a fun way to take care of their health. Using this on myself, I thought it felt great and definitely not painful like it usually does flossing. There is nothing I hate more than flossing and having to spit up a ton of blood while doing so. 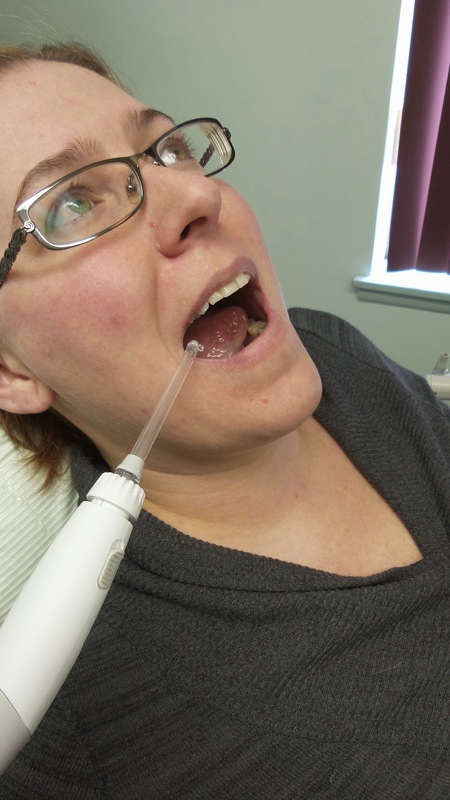 I loved the fact that after using this my gums felt amazing instead of swollen and puffy! My only complaint is that it can be a bit messy with all the water going into your mouth. The boys were very into using this as well and I really thought this was an overall great experience! Discount: Click through this link and enter promo code 'FREESHIPWP660' for free shipping on any Waterpik product purchased through the site. This coupon is valid until March 31, 2014. Recommendation: I loved this and so did the kids! I wish I hadn't been so stubborn about trying it in the first place. 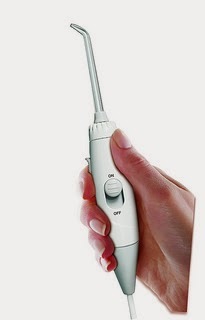 I think this is a useful tool that every one should have in their homes! 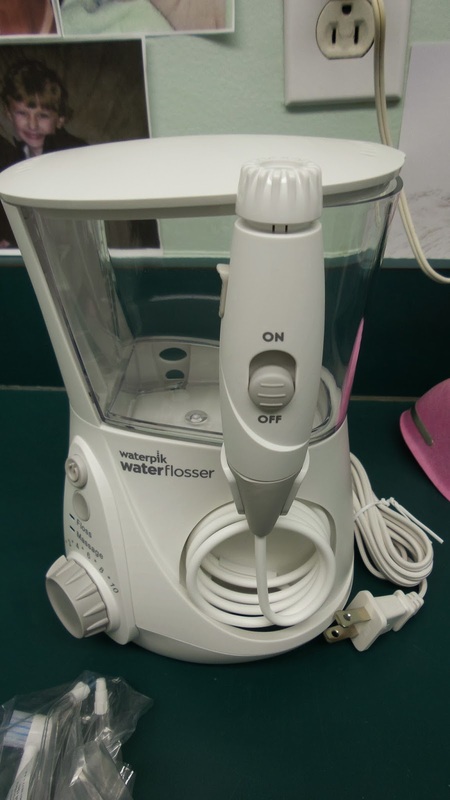 *This is a sponsored post written by me on behalf of Waterpik.